The Buffalo Club is a lifelong drinking club of honor and integrity that exists worldwide. The American Buffalo Club Association is an organization for Buffalo Club members in the United States of America and members from around the world. Our purpose is to promote social interest in the Buffalo Club and connect existing Buffalo Club members. If you are a loyal member of the Buffalo Club we would be honored to have you join our association. The Buffalo Club is a mysteriously captivating underground society that exists worldwide with a lifetime membership and the commitment to honor a set of rules with integrity and self-discipline. Admission to the club is by invite only from a current Buffalo Club member and new members must complete an initiation process. All members of the Buffalo Club must honor the Buffalo Club lifestyle and treat the fellowship with the utmost respect. If you have found this website chances are you already know and understand the club quite well. The history and origin of the Buffalo Club are obscure and many versions are in existence. It is said that the Buffalo Club stems from the gun slinging days of the Wild West where the use of one's right hand (the shooting hand) was at times a matter of life or death. Thus, recreational activities such as playing cards or drinking were done with the left hand only to avoid severe consequences. One certainty however is the allure to be part of this underground society. The American Buffalo Club Association provides it's members with the ability to connect and interact with fellow Buffalo Club members across the globe. We invite all Buffalo Club members who are dedicated and loyal to the club to become a member of our association. 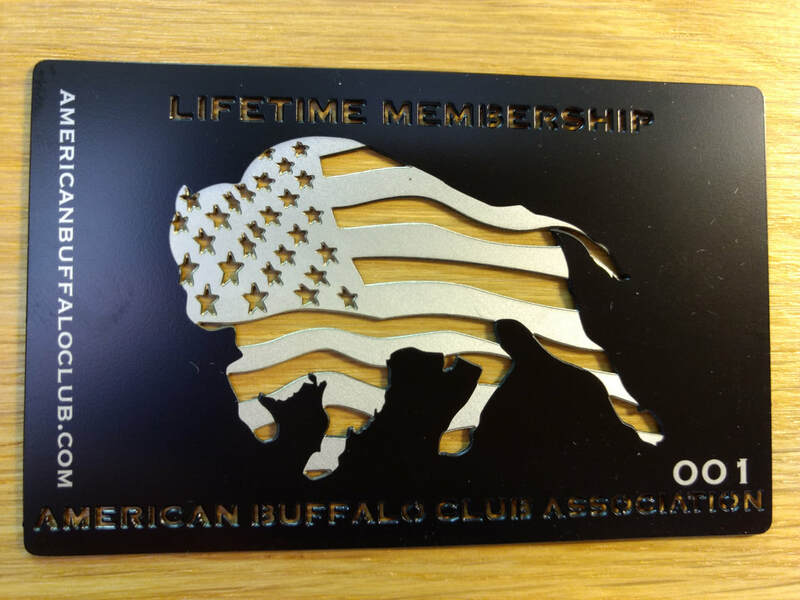 Metal Lifetime Membership cards are ﻿available in our Buffalo Club ﻿store. Not a member of the Buffalo Club and would like to join? Contact a chapter near you using our Chapter Directory.